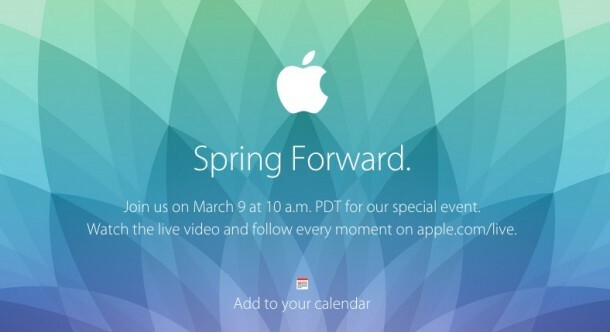 Apple will host a media event on March 9, 2015 at 10AM PST. The event is to be held at the Yerba Buena Center for the Arts in San Francisco, California, but Apple is planning on livestreaming the occasion as well. 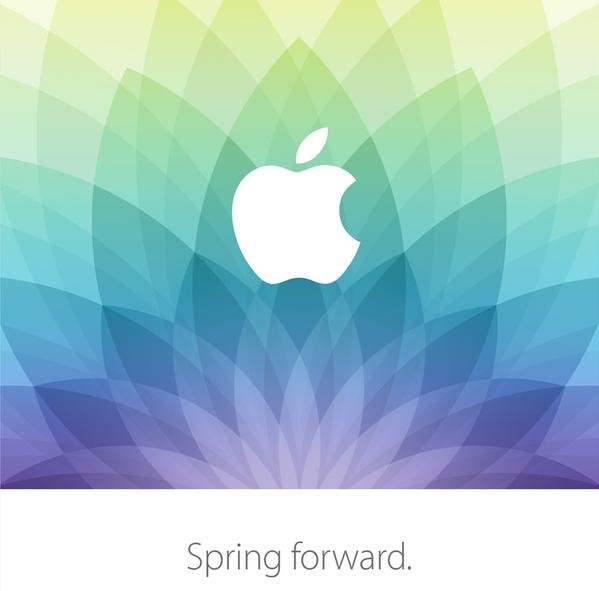 The official invite from Apple, shown above courtesy of MacRumors, has the tagline “Spring Forward”, which seems to be a play on Daylight Saving Time beginning soon before the event. With the time-oriented term, the other assumption is the March 9 event will focus heavily on the upcoming Apple Watch product, though this is merely speculation. Apple Watch prices begin at $349 and are said to reach into well into the thousands, depending on the model and material used in construction. The device is due to ship sometime in April, and an exact ship date will likely be announced at this upcoming event. Aside from WATCH, there are various rumors suggesting an updated MacBook Air line could be unveiled on the same day as well. It’s currently unclear if the event will be live streamed on the Apple website. Apple plans to livestream the event on their website at apple.com/live, you can also choose to add an event reminder with this link. 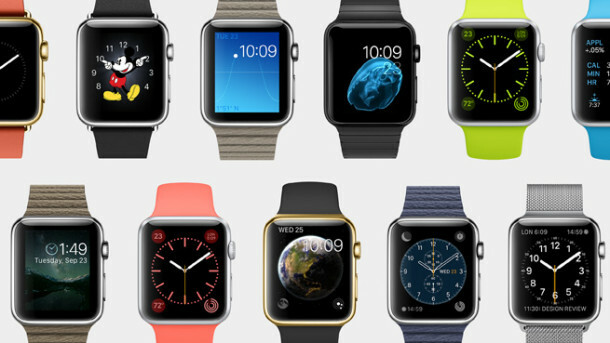 I’m interested in Apple Watch, and I hate to be a skeptic, but I still don’t see the use for it yet. I think I need to get my hands on one, I think many people will share this opinion. Of course I may not be the target market either, I’m not too fashion orientated and I don’t like the constant stream of alerts and notifications on my phone or computer as is. When iPhone first launched it was ‘cool’ but I didn’t really “get it” until I saw one in person and used it, then immediately it was obvious it was the future of phones. Will that really be the case with this watch? Like you say people didn’t fully see the value of a smart phone when Apple released one. Now everyone “gets it”. I think the value will be in the apps that are developed for it. I don’t carry a phone, I take my iPad with me most places. So, whether I buy a Watch or not depends on the potential interoperability with the iPad. I said when it first appeared in press that my $36 wrist watch tells me the time and the day. Why pay Apple 4 times that or more for the same info? Maybe if I have a health issue and the watch tracks my heart beats. But I don’t and not many users will either. Big deal, no interest. Anything else. Is this announcement something about a partnership with the NBC peacock in the late 60’s? I expect to hear an announcer say “…and now in living color!” when I see this announcement. What now…Apple “partnering” with NBC??? Mhmm, an Apple Event “ONLY” for a “watch” i doubt about ! It is Daylight Saving Time (no s) and it actually starts the day before the event. Please correct the article. Daylight Saving Time not Daylight Savings Time. Will this daylight saving time melt the snow … geezz. New Macbook Air , less power , more money. Some people will be happy with a timex for $20 or a Rolex at $10,000. To each his own. But for people to make comments like “I don’t see the need for this watch and I think everybody else feels the same way as I do” is not forward thinking. I remember Gates and Balmer saying the same thing about the iPad when it came out and look at MS, playing catchup for the last few years with nothing to show for it. Both me and a co-worker are anticipating the Apple Watch! Unlike a lot of business workers that have their phone out and can check on anything at any time; we in the union based production art department are not even allowed to have our phones out on the desk (they should be turned off and in a drawer and/or purse). So having an Apple Watch that will let me know of important text messages/emails so I can sneak to the bathroom and reply is essential. Where I work Supervisors and other Office workers have their phones out and they get on them all the time. It’s just us production workers that are not allowed (press/artists/screens/etc). Ah, the hierarchy of the work force. I currently use a Pebble Steel watch and it sort of covers the above need for a smart watch… but it does it without much prettiness or flare. Yes, the battery lasts about 4 days (never 7 days like advertised due to the number of notifications I get), but I can’t respond on the Pebble watch to any of the notifications – it still requires me to get out my phone to do that. I know VERY FEW people will have a similar situation but we do and… We. Cannot. Wait.